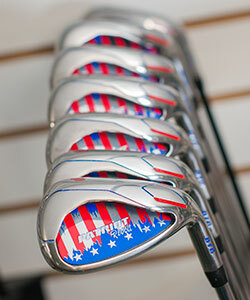 Bisbee Golf Center (est. 1988) is one of the ﬁnest golf range practice facilities in Northeast Wisconsin. 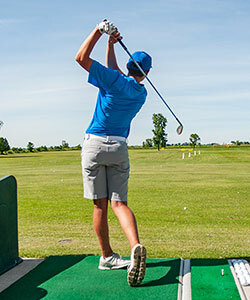 Whether you are a serious golfer or a beginner just starting the game, Bisbee Golf Center oﬀers a complete practice facility perfectly suited to enhancing your game no matter your skill level. 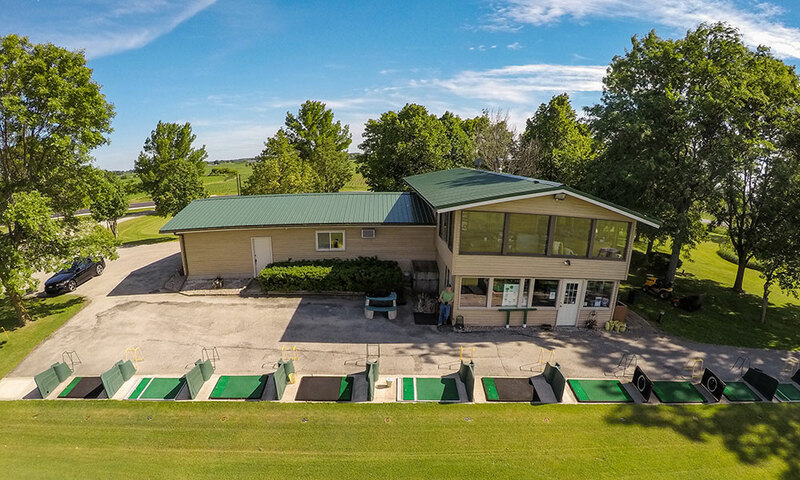 We oﬀer a 300+ yard outdoor driving range with both natural grass tees and high quality artiﬁcial mats to provide over 45 hitting stations. Our 5,000 square foot putting green as well as a short game area complete with sand trap are also available at no extra charge with range bucket purchase. New range balls purchased each and every season. Season range passes as well as V.I.P. (Very Important Practice) cards are available in our pro shop. 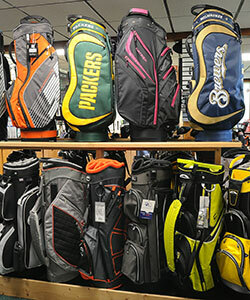 Our full-service pro shop carries all of your favorite brands: PING, TaylorMade, Titleist, Cobra, Wilson, Footjoy, Bag Boy, Datrek, Sun Mountain, Bushnell, Scotty Cameron, Odyssey and more. We also have an indoor putting green. Our natural grass practice facility oﬀers a variety of personalized instructional programs from our PGA Class A Professional/Owner Jeﬀ Bisbee. November Please call for hours.